System failure reboot. What to do next with the bullpen?!? Jonathan Papelbon pitched an easy outing exactly one week ago in a non-save situation against the Padres. His velo was big, and Pap looked great. Papelbon averaged 94mph on his fastball with good movement and almost hit 95 on the radar gun for max effort while needing just 12 pitches to get through the 9th inning. On Saturday, Papelbon was needed to hold a 2-2 tie. We have reported before about using Papelbon in back-to-back days, and if you tempt fate, you usually get burned. Sure enough Papelbon’s velo was off and lead-off batter Matt Kemp ripped a lead-off double. The next batter Solarte smoked a liner up the middle that was hit directly at Ben Revere. Some luck paid off as Kemp did not tag up and test Revere’s arm to get to 3rd. Papelbon easily struck out Melvin Upton who was in swing mode on an 0-2 count. Papelbon then intentionally walked Ryan Schimpf to get to Brett Wallace who popped out for the 3rd out. 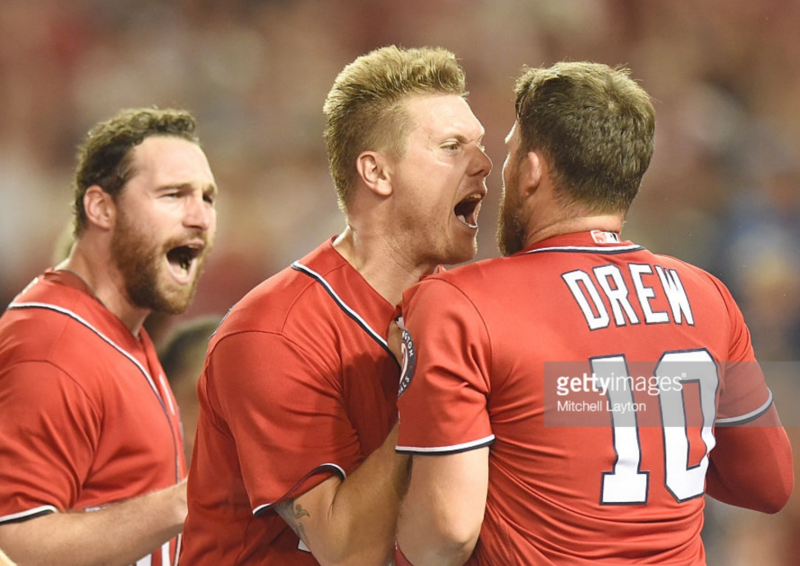 In the bottom of the 9th the Nationals walked-off on a Stephen Drew triple. On the Sunday finale against the padres, Papelbon was called into a 6-6 tie. It was a day game after a night game, and there was no reason to use Papelbon again with Dusty Baker saving his long-man Yusmeiro Petit for late in the game instead of early in the game in this Lucas Giolito start. Papelbon had nothing. He was laboring from the start but got Travis Jankowski to line out to Werth. The next batter was Wil Myers who Papelbon walked on 4 pitches. Papelbon struck out Matt Kemp in a 1-2 count on a ball in the dirt sending Myers to 2nd base. The next batter Solarte lined the ball to centerfielder Michael Taylor who froze on the initial read then played the ball on a hop a few feet from the ball instead of laying out for it. The winning run scored as the inning fell apart after that and 28 pitches into the 9th with a 10-6 deficit, Dusty Baker inserted his long-man Yusmeiro Petit. It is hard to explain the unexplainable as to why the 35-year-old Papelbon would be pitching 3 days in a row and in another non-save situation with Petit available. Papelbon’s velo was off a little more but movement seemed fine, and if Taylor makes the play in centerfield the game stays tied into the bottom of the 9th. The Nats lost 10-6. Monday was a much-needed off-day for the Nationals, and Tuesday was the first game of a tw0-game series against the Cleveland Indians. The Nationals took a 6-4 lead into the 9th inning and Dusty Baker once again went to his closer Jonathan Papelbon. Papelbon’s velo was noticeably down, and he walked the lead-off batter Jose Ramirez on a 3-2 pitch. The stadium radar gun said Papelbon was at 88 to 89 mph. Dusty Baker left Papelbon in to face the pinch-hitter lefty Tyler Naquin. This was the time to go to Oliver Perez once the lefty Naquin was announced , but Dusty stuck with Papelbon. Naquin smoked a liner for a double into the gap to score Ramirez making the score 6-5. Chris Gimenez pushed a sacrifice bunt right to Ryan Zimmerman who threw the ball wildly down the rightfield line and the tying run scored. Papelbon then intentionally walked Lonnie Chisenhall. With no outs, Rajai Davis bunted and the ball popped over Rendon’s head and landed on the infield grass to load the bases. The inning looked like a ‘Keystone cops’ act. Dusty Baker finally pulled Papelbon with bases loaded for the lefty Oliver Perez with bases loaded and no outs. Lindor singled to win the game 7-6. Blown save loss. If you cannot believe that, Dusty Baker went back to Papelbon again for a save in a 4-1 game in San Francisco on one day rest when Papelbon probably needed a few more days. His first fastballs were registering at 88mph and he got them up to 90mph. Brandon Crawford flew out to deep CF for an out and on a warm day game it is probably a HR. Baker left Papelbon in as he then gave up a single to Brandon Belt and then walked Mac Williamson to put the tying run in the batter’s box. Why didn’t Baker pull Papelbon sooner and why did he use him? Oliver Perez came into the game to face the lefty Conor Gillaspie who was pulled for righty Trevor Brown. Perez walked him on a 3-2 pitch to load the bases. The next batter Gregor Blanco smoked a grounder to Anthony Rendon who threw from his knees to Danny Espinosa at 2nd base for the force and Espinosa dropped the ball. The score was now 4-2 and bases loaded with Denard Span batting. Span struck out on a 1-2 foul tip for the 2nd out. Baker then brought in Shawn Kelley to get Angel Pagan which he did in a power strikeout to end the game. Each game that Papelbon was used in his fastball velocity on average was dropping. In 6 days it went from a 94.0 average to 90.2 average mph. That is a drop of over 4% and the break on the slider was flat where he could not throw one for a strike last night. Disaster was averted last night, but clearly something needs to be done. Papelbon is not an every day player. The stats support that. He is fine with pitching every other day when he is fresh, but pitching him last weekend all 3 days has clearly been an issue for Papelbon to the point that it has been hard to watch a once great closer who now is trying to help his team but is physically unable. 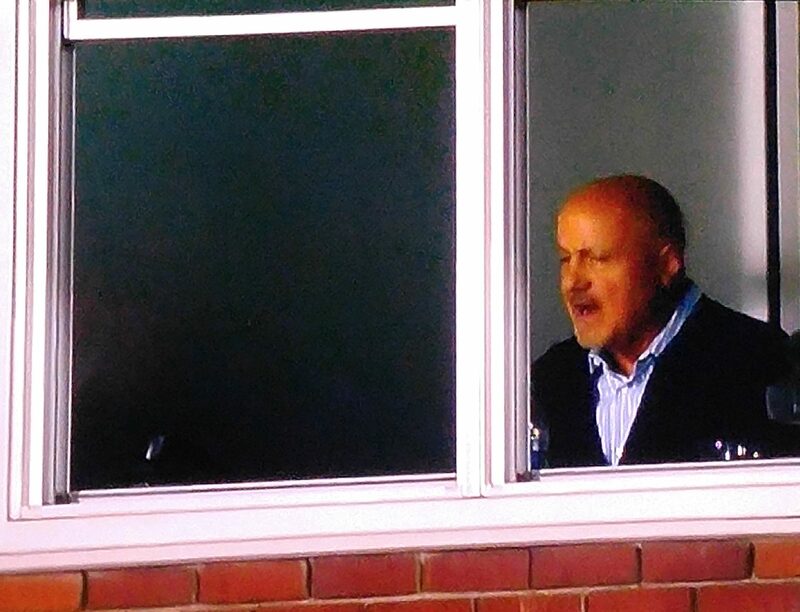 Mike Rizzo was shown on MASN and was visibly upset. Where do we go from here? This entry was posted in Analysis, Papelbon. Bookmark the permalink.